Your search ends here! 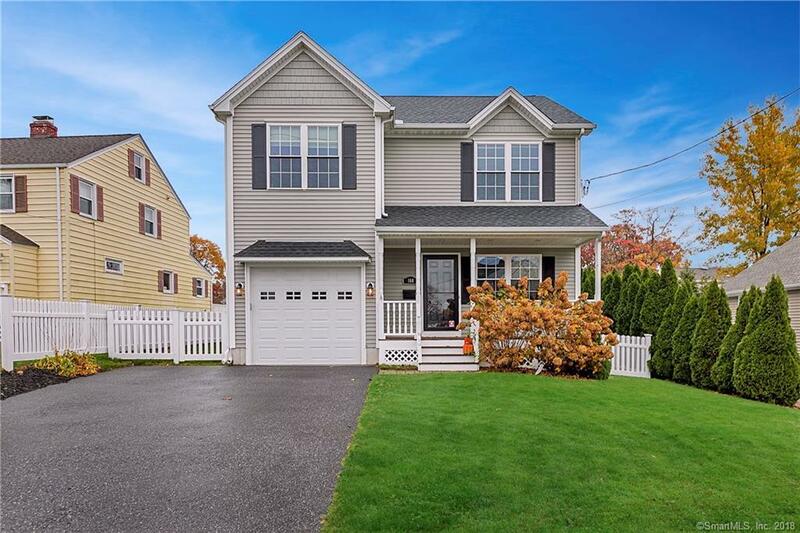 All the boxes have been checked and no convenience has been overlooked: from the charming front porch to the back deck with an awning, this home is sure to please even the most discerning buyer. A sunny living room with a gas fireplace greets you as you enter this gem with 9â ceilings and hardwood flooring on the 1st floor. The gourmet kitchen is complete with stainless steel appliances and a dining room with cherry in-laid hardwood flooring, chair rail & shadow box molding and a tray ceiling that offers dimension and style! The main level laundry and Â½ bath are so functionalâ¦and did I mention the beautiful vinyl fence that encloses the back yard? Retire to the master bedroom with an ensuite full bath, and be impressed with the large linen closet and the walk in closet; youâll enjoy the tray ceiling that really makes this room a haven from everyday life. The lower level has tons of space for gaming, crafting or an abundance of storage. There is nothing to do here but move in and enjoy amenities like: the in ground sprinkler system, central air, 1 car garage and on demand hot water heater.